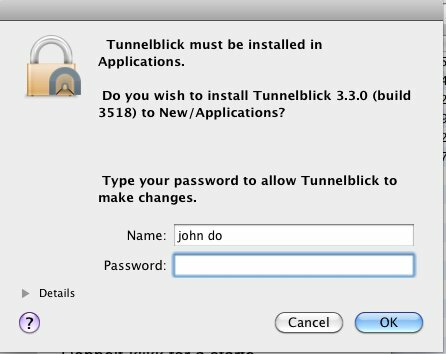 For OS X, the OpenVPN client is called "Tunnelblick" and available for free download. 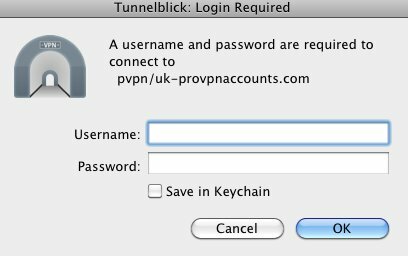 Enter Your Password and Click "OK"
2.) 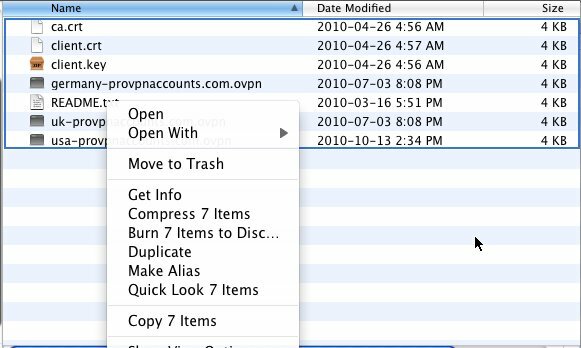 Select and copy all files in the folder. Paste the the files you copied below.